A good hospital operates efficiently with every aspect of running the organization seamlessly prepared. One of the ways to have your hospital mirror this ideal image is by setting up accountability standards and best practices for staff across all departments. Every aspect of running a hospital needs to be considered when it comes to effectively operating a medical organization. From patient intake to policy management and billing, everything works together to create a cohesive flow. However, when a staff member deviates from the protocol, this is where things go wrong. In order to prevent this, it is important to have accountability standards in place. With the complexity of day to day hospital tasks and operations, it is imperative to have systems in place to track staff accountability and knowledge comprehension. When taking into account healthcare laws, licensing and certification, accreditation, and more, compliance becomes key to a high-functioning operation. When communication is often critical, especially between doctors and nurses, keeping staff members accountable becomes more important than ever. With the right accountability standards in place, it is easier to ensure that staff members are following guidelines and following protocols while providing patients with the care they need. Below are some helpful tips for keeping your staff accountable by using your hospital Intranet. Setting expectations on rules and procedures becomes incrementally more simplified when you have a centralized location where policies are outlined and updated as changes occur. This centralized hub should perform the task of cohesively uniting staff in common knowledge regarding safety and procedural rules and regulations. Creating a system to hold all staff members accountable through this centralized hub can be accomplished via your hospital Intranet. With a hospital Intranet, staff members can sign off on changes to hospital policies to ensure that they are made aware of these new updates. They can also easily search and access these files so hospital policies and procedures can be shared quickly and easily. In order to ensure compliance and before accountability is even assessed, it is essential to set clear and concise expectations. This involves general conduct and specific actions for daily tasks. In any hospital setting, deviating from the safety standards and procedures can prove detrimental to the operation of the hospital as well as for the safety of the patients. With inconsistent practices regarding policy and procedures, patient care can become severely compromised. This is why accountability using a hospital Intranet is of vital importance. Simple online read/sign or acknowledgement features can keep staff accountable for their responsibilities and daily tasks. Managers can run reports to see who has or hasn’t attested to the expectations of their position/s. Staff can produce online documentation illustrating how to perform specific tasks. They can use action wizards to step them through conducting patient or position activities. In addition to establishing accountability with regards to policies and procedures, it is also important to establish accountability in the spectrum of patient care provided by a hospital or medical facility. 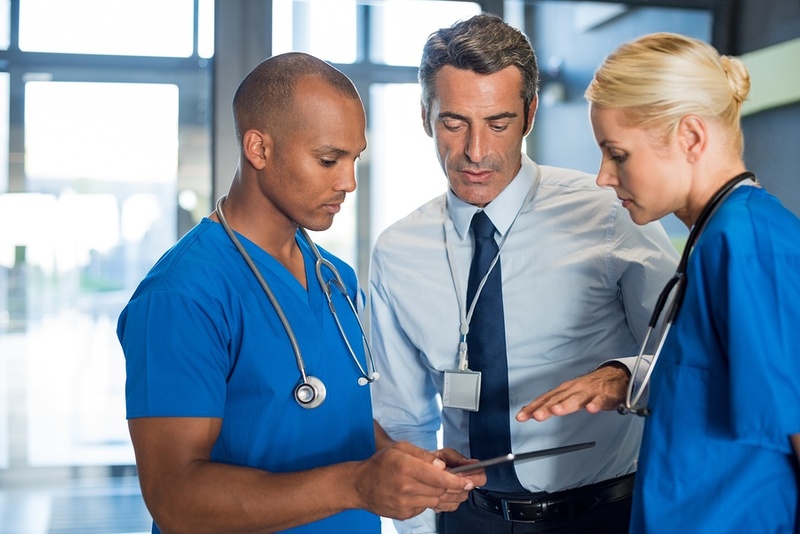 Standardized practices such as sanitizing, disinfecting, charting, and medication management can all be made accessible via a simple search on the Intranet ensuring a consistent standard of care. Forums, blogs and collaboration tools can be used to help staff share vital information about their positions. Frequently asked questions can easily be sourced along with emergency vendor directories or vendor directories for quick resolution to issues involving equipment or resources. Communicating expectations and making policies and procedures clear is the first step in ensuring the optimal and cohesive functioning of any hospital establishment. Following this, accountability is the next step in making sure that compliance is upheld among all staff members. This can be readily accomplished with the help of a hospital Intranet. Learn more by browsing our website for additional information.